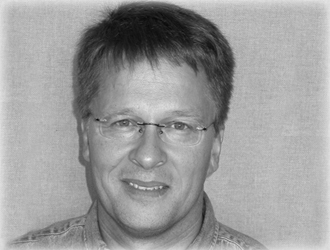 Professor in the Department of Geography, Université Laval (Québec City, Canada), Dr. Reinhard Pienitz leads the Aquatic Paleoecology Laboratory at Centre d'Études Nordiques (CEN). He presently supervises and co-supervises the research of graduate students and post-doctoral researchers in the fields of paleolimnology and paleoceanography, in both the Departments of geography and biology. The paleolimnologic research in his laboratory focuses on the use of fossil freshwater algae (diatoms), insects (chironomid larvae) and invertebrates (cladocera, ostracods) preserved in the sediments of arctic lakes and ponds (Labrador, Nunavik, Nunavut, Northwest Territories and Yukon/Alaska) to reconstruct changes in climate and the environment during post-glacial times. The remains of marine diatoms and dinocysts in sedimentary deposits of coastal regions serve as indicators of changes in paleo-currents, paleoproductivity and sea-level fluctuations in paleoceanographic studies along the Canadian West Coast, the Beaufort Sea coast (southern Arctic Ocean) and the Canadian East Coast (Labrador fjords). His research also focusses on the recovery and study of long-term climate archives from crater lake ecosystems in Nunavik (Pingualuit Crater Lake project) and southern Patagonia (PASADO project). In addition, research projects are underway that determine, using multiple freshwater proxies, the water quality of drinking water reservoirs impacted by animal populations (snow geese, caribous) in the Arctic, by urban and agricultural pollution in the Québec City region, as well as by mining activities in Nunavik and Nunavut. His lab administers the Circumpolar Diatom Database (CDD) since 1997.